Exotic Carts is a THC oil vape cartridge that you can find all over the United States, including places where hash oil is still illegal. Unfortunately, it has become easy for people to make their fake Exotic Carts cartridges at home, mostly with the help of Asian packaging companies. Are you wondering if you purchased a fake Exotic carts cartridge? There’s a possibility that it may just be from someone who bought the packaging and refilled the empty cart with their cannabis oil. The chances are high that the oil used is not clean. 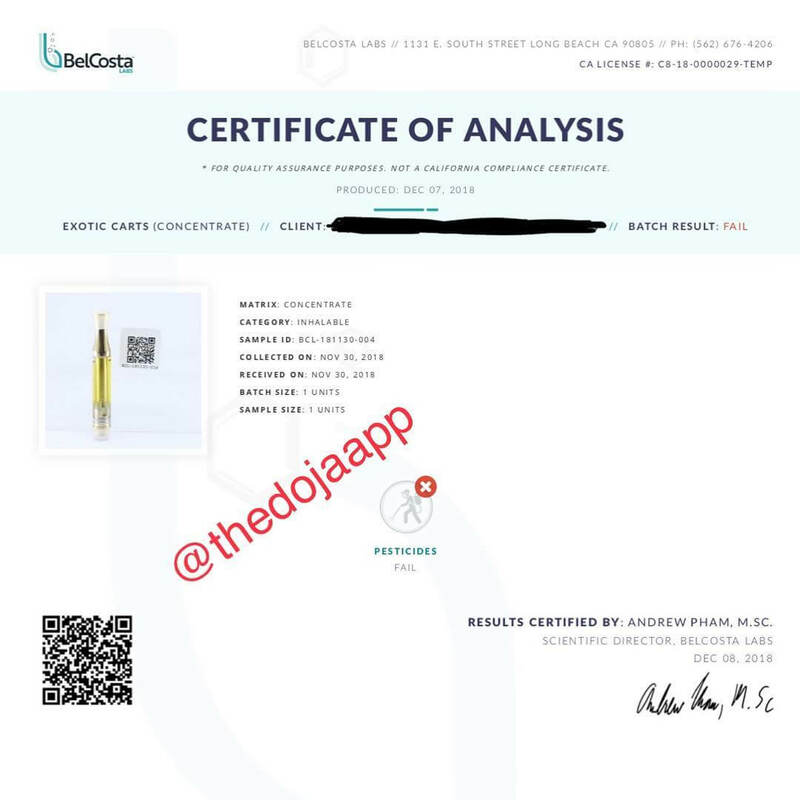 We researched the counterfeits being sold everywhere in the USA, learn how to identify authentic Exotic carts from our insight. I recommend following their Instagram. They have frequently been changing their packaging design to combat the fakes and post their new designs on there. This brand has recently introduced a couple of new flavors. Beware of fake exotic carts Instagram pages that claim to be official; there are plenty out there trying to scam people. It’s not difficult to find people selling Exotic carts wholesale on different social media platforms such as Instagram, Snapchat, Facebook or Twitter. People are posting pictures of hundreds of Exotic cartridges in boxes ready to be shipped out. A lot of these people don’t even have any Exotic carts and took those pictures from other accounts and added them onto their own. Don’t forget that on a federal level it’s still illegal to buy hash oil. Therefore, we don’t recommend you to purchase Exotic carts cartridges online. Where is the Exotic carts cartridges official website? Unfortunately, there is no. At least they have an Instagram account which they claim to be the real one. Their so-called official Instagram account has some professionally taken photos of their products. They also release updates to their packaging and the frequently update on the measures they take to combat the fakes. We reached out via a direct message but sadly we did not get any answer (are you surprised…?). Their most recent move against fake Exotic carts cartridges was the introduction coins and engravings onto their vape cartridges. The updates posted on their Instagram are accurate which leads us to assume it’s their authentic account. They have barely under 5,000 people following their IG right now. They also claim on their page that their old feed got deleted at 20k. Look for these coins to identify a real Exotic carts vape cartridge. Recently they posted another update to their packaging. They now added a hologram to the bottom right corner of the bags. Anyway, there are more reputable oil cartridge brands that we recommend in our best vape cartridges in the 2018 list. We encourage you to only vape cartridges sold in licensed dispensaries. Never trust a brand that is too cheap to prove that their product is genuinely clean. A month ago they rolled out a whole new line up of flavors. They did announce the new flavors on their Instagram channel. Their constant output of new flavors is undoubtedly one reason for its popularity. A lot of people like their flavors so much that they have become ambassadors for this brand and provide reviews about Exotic carts on Youtube. Don’t be a fool because this THC oil tastes great and there is a variety of flavors because this oil is proven to have impurities. Some people are turning a blind eye to the fact that these carts are dirty. It’s unfortunate that society is willing to sacrifice their health in exchange for the euphoria from these cartridges. 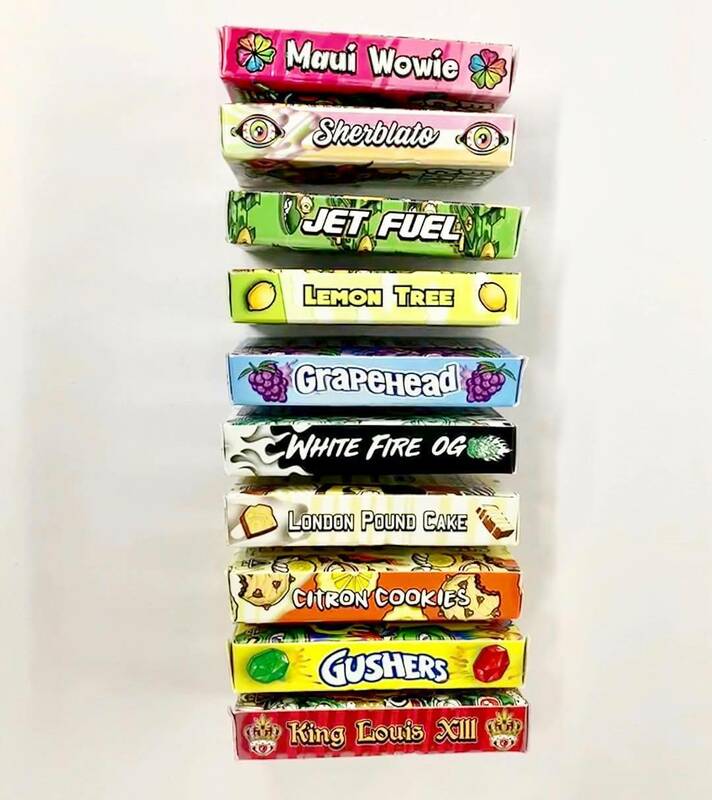 Below is a list of the latest Exotic carts flavors released on their official IG. These new flavors also come with new packaging. At the moment these flavors are so new that there is currently no counterfeit of them available. Although, I think nobody would be shocked if the fakers replicate the packaging in a couple of weeks. This is the second time Exotic carts bings out a new packaging in 2019. It didn’t take long until the counterfeiters copied the first batch of the new packaging earlier this year. I am referring to their black box packaging that was released right after New Year. The trend first started on Reddit when someone decided to refill a Juul pod with THC oil. Afterward, vape cartridge companies did the same, and Exotic carts recently followed this trend. It’s easy to find Exotic carts on apps where people can sell stuff such as let go and offer up. I also saw these posted on Craigslist in cities such as Stockton and San Jose in California. I messaged someone selling these carts and asked them where they got them from. They replied that their source was in Los Angeles. My theory is that some companies flood the black market with bad THC oil, maybe even under the Exotic carts brand. As said before, some people publish Exotic carts reviews on Youtube and although they are from different states, the cartridges they showcase look the same. The THC oil color looks similar too. Although these Exotic carts pods for Juul are convenient to get high discreetly, they may be hazardous for your health. No lab test results are showing their cannabis oil is free from harmful impurities. This brand has the potential to be huge if only they could get their quality under control and have evidence that they are selling a pure product. There are no reputable labs that can verify that this brand is selling clean products. States such as California are requiring the THC content labeled on the packaging of cannabis oil cartridges. 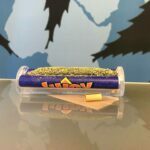 Unfortunately, the Exotic carts THC content is not accurate at all. A guy from Cali had an Exotic cartridge lab tested, and it came back with a much lower THC percentage. The lab test also detected multiple pesticides. They also have a fake lab test posted on their IG account. It shows their product is clean of any impurities. It also shows their THC content at 87%. However, one person contacted the lab, and the lab emailed back that the lab test results were not real. There is nobody to sue if anyone gets injured from vaping these dirty cartridges. 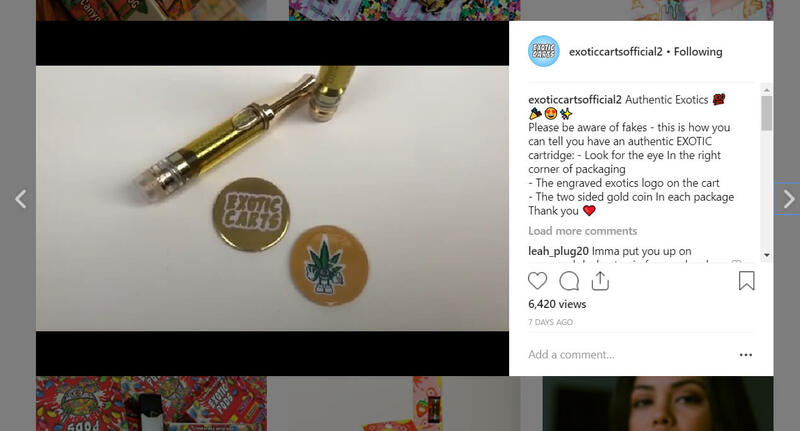 I could only imagine law enforcement eventually will get involved if they are not already and trace who is running the Exotic Carts official IG account. Something tells me this is an international operation. There are a lot of Asian women models holding Exotic cartridges on their IG account. We have written an in-depth Exotic cartridge review after getting our hands on a few ones in the Bay area. You can read it here. I won’t go into talking too much on how I acquired these cartridges. We have not got our hands on the new Juul pod edition of theirs; however, when we do it, we will post a separate review. There are a lot of arguments that there has always been a pesticides problem with cannabis products. However, the counter argument to that is since THC oil is a concentrate of cannabis, the pesticides are concentrated as well. You don’t need to be a doctor to know that ingesting concentrated forms of pesticides via prefilled 510 vape cartridges like Exotic carts is not good for your health. I mentioned in the Brass Knuckles vape cartridge review article that I experienced heavy chest pains from vaping their product. Other online reviews reported the same. I’ve hit more than one Exotic cartridge, and I can see why its liked throughout the USA. It’s half the price of carts selling with the same amount of THC content. The cheap price is one thing but if you care about your health you should avoid buying a fake Exotic carts cartridge. They have proven to only focus on dishing out as many new products as possible without any concern about the quality of their products. It will be challenging to hold his company accountable if anything was to happen to you from vaping their product. 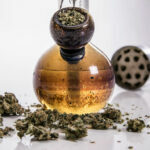 The chances are high that you are buying someone’s home-made THC oil, and who knows if its clean or not. There are multiple Exotic carts lab test results available which reveal their stuff isn’t clean. These carts are thriving in markets where cannabis isn’t legal. This is one of many reasons why we need access to legal cannabis. 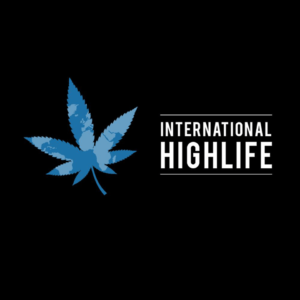 Cannabis consumers need to be sure that they consume a safe product. People will always be attracted to the cheap cost of these cannabis oil cartridges and put them self at risk. Some don’t know about the impurities at all. That’s why we urge you to tell people you may know who are vaping these cartridges to stop. The fact that exotic carts vape cartridges costs a lot less then whats normal is the first red flag. Clean THC oil with 85-90% THC averages $60 a gram before tax. The price of an Exotic carts cartridge is around $30. 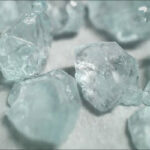 I also found wholesale prices at $15.00 a gram each. These Exotic cartridges have nicknames such as hot dog water. The reason for this insult is because the makers dilute the oil with terpenes for profit. They lie about the THC content to make their products more appealing. The truth is Exotic carts cartridges are nothing more than medium strength. The only way to detect if cannabis oil has pesticide or not is to test it in an independent lab. These lab tests are quite expensive, costing up to a couple of hundred dollars. Beware of fake lab test results posted online. You can easily verify if a test is real by contacting the lab via email. If you do that, they will confirm if it’s real or not. These are not the only vape cartridges that have been hit by copycats. Brass Knuckles vape cartridges have also been affected by fakes. 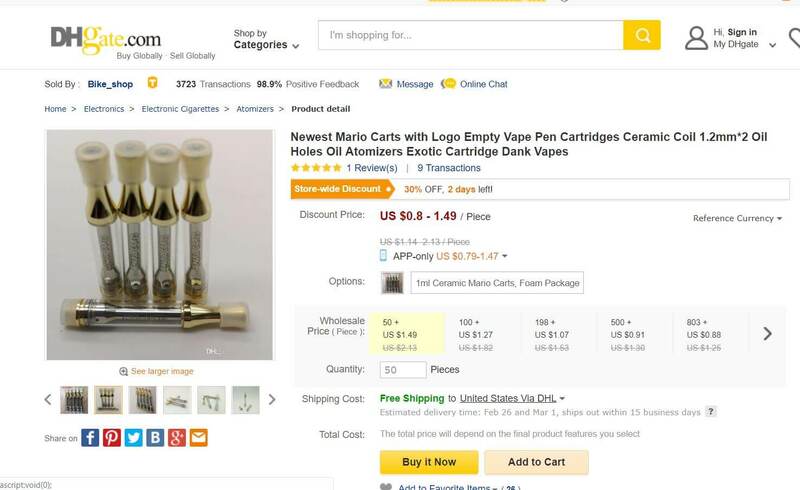 Additional cartridges include fake 710 king pen, fake Mario karts, and fake Dank Vapes. In a move to fight back against counterfeits, many of these brands are making changes to their packaging. Brass Knuckles vape cartridges decided to add holographic serial numbers. However, shortly after they did add serial numbers, the fakers copied it too. 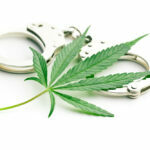 It is wiser to buy from a licensed to sell cannabis dispensary or delivery services. There’s a risk attached to buy oil cartridges from the people who sell them for half the cost of the going rate. People claim to end up in the hospital because of pesticide poisoning. Others have reported acute anxiety after frequently vaping these cartridges. We cover this in our Brass Knuckles vape cartridge review. There was a class action lawsuit brought up against Brass Knuckles cartridges. They countered by saying that the products tested were not theirs but. 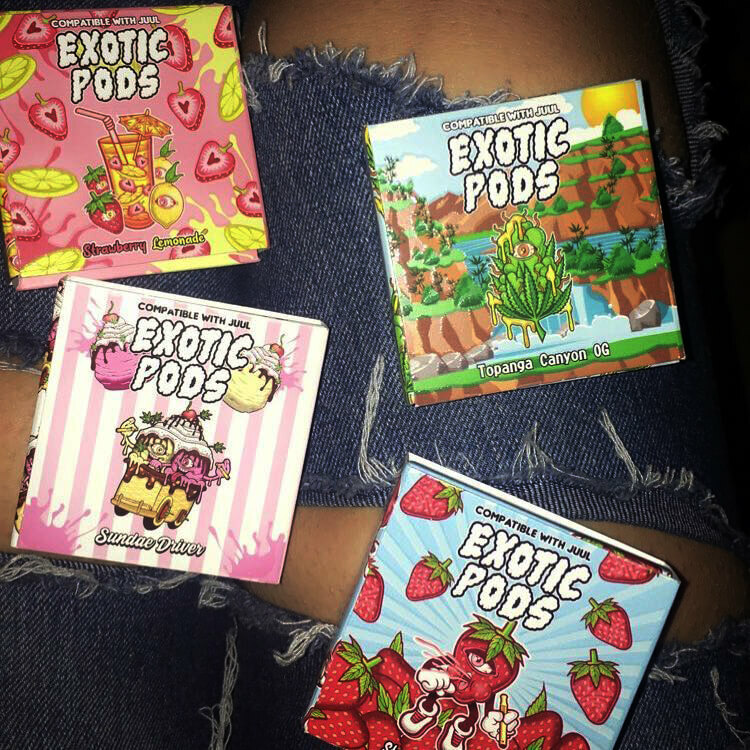 Are There Any Real Exotic Carts? We believe the people in charge run the show from LA. They are moving these cartridges across states. So many of our followers in illegal states have been able to get their hands on this brand. Exotic Carts already had their main IG closed, probably because they were mailing their cartridges to people in exchange for money. The reason why I suspect this is because they are frequently posting on their newly created IG that they never mail any vape cartridges. They are doing this to avoid getting messages from potential buyers. The only way to get Exotic carts is either from someone that you know or online via an app. The people selling them may not be aware that they are selling dirty products. If your privileged and live in a state where cannabis is no longer criminalized, we recommend you to buy THC oil cartridges that come with an independent lab test. I live in California where recreational cannabis use is legal since 2018. Ever since I’ve seen a massive rise in people making their vape cartridges and selling them. They have their unique packaging, some more appealing than others — the average price of these vape cartridges sold by individuals is between $25-45 a gram. There are too many reports of cannabis oil cartridges failing lab tests and that’s why you can’t be confident to get a clean product if your carts are not made by a reputable company. 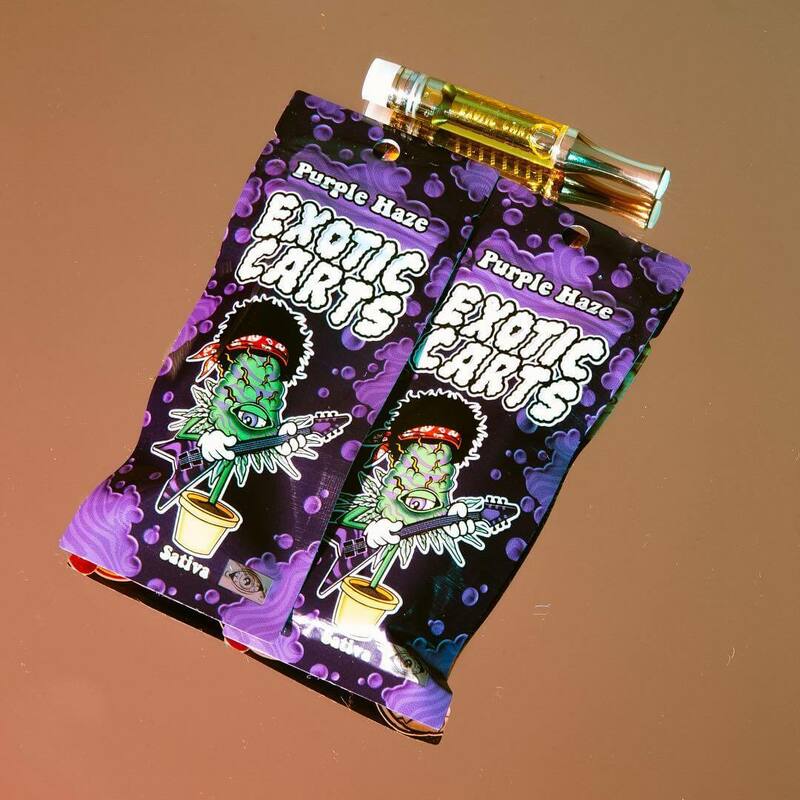 Exotic carts have become one of the most popular 510 vape cartridges sold in America. The people behind Exotic cartridges must be making a killing (financially) with their products. A lot of the cartridges get sold in states where cannabis is still illegal. We will continue to follow this brand as they update their products. 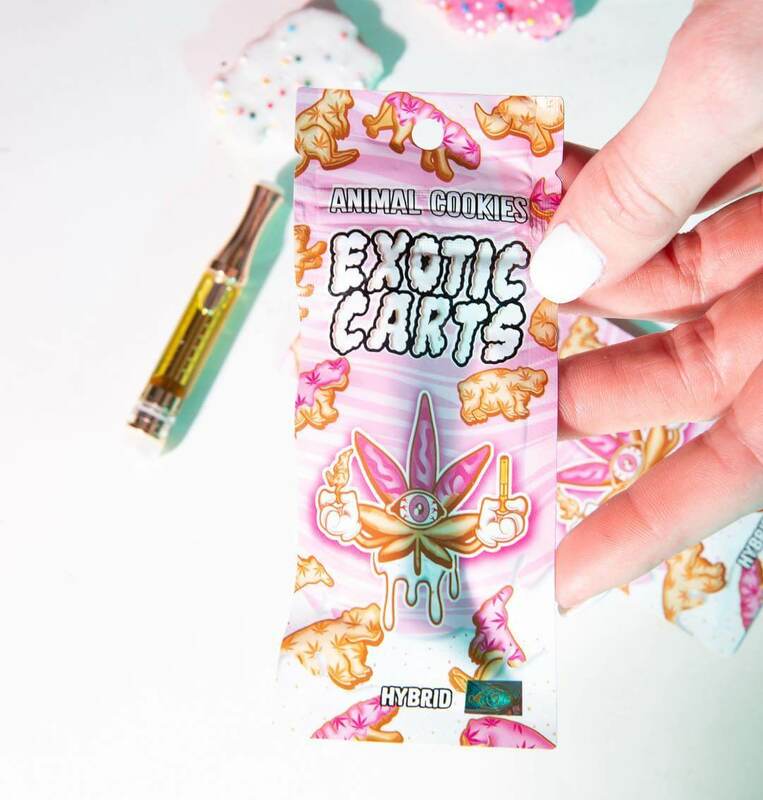 Have you purchased an Exotics carts before? What was your experience with these cartridges? Please leave your review in the comments. Also, let us know if you tried out their new Juul pods. We are curious about what states these are currently at so help us by commenting your state and price of these Exotic carts there. Thanks in advance!